The birth rate has reached a record low and it matters. The birth rate is at a record low and it’s scaring a lot of smart people. Fertility is down. Not fertility in the sense of being able to conceive, but fertility rate. Simply put: Women in developed nations are not having the number of babies they used to. Sure, we’ve observed this. That “one and done” is on the rise. That the age for childbirth is increasing, so the time to have more babies is limited. That more and more women are seeking higher education, climbing the career trajectory, putting family life on hold. We’ve observed this. But new data out of the US has confirmed it. The number of babies being born per female in America is lower than it has ever been in recorded history. 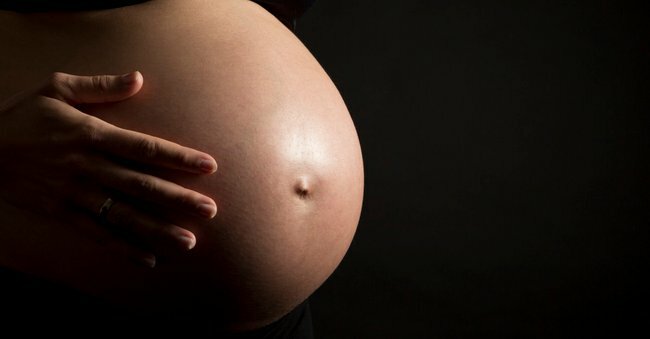 Data from the Centers for Disease Control (CDC), released on Tuesday, found the rate known as the ‘fertility rate’ (even though it’s not about biological fertility) has dropped more than 10 per cent since 2007 in the US. It’s currently at the lowest point it has ever been since recording started in 1909. The rate is at 62.5 births per 1,000 women. In Australia, the trend is the same. Data released by the Australian Bureau of Statistics last year showed the average number of babies born per woman was at it’s lowest in 10 years. The national fertility rate is at 1.8 children per woman. In short, the fertility rate of developed nations is below replacement levels. The pregnancy questions you were too afraid to ask. Post continues below video. Part of this drop is that women are having children later in life. Between egg freezing and IVF, the age of first-time childbirth is rising, and the number of children per family is falling. This falling fertility rate might seem like a win for the planet. Humans are working the Earth to the ground. Like guests that have overstayed our welcome; there is not enough space for all of us. Our endless procreation is leading to environmental issues, famine, poverty gaps, war, conflict, migration. It’s not sustainable. Yes, you might say, dropping fertility rates is a good thing. You might cite the fertility rates in developing countries – for example in Africa, which has the highest fertility rate in the world at 4.7 children per woman – and argue that dropping fertility rates in developed countries like America and Australia is simply balancing this out. The current wold population is 7.4 billion people, and we likely surpassed the Earth’s ‘ideal’ population level decades ago. But what about the localised picture? What does the drop in fertility in developing countries mean for these countries specifically. For this reason, a drop in fertility rates in developed countries is not necessarily going to lead to a lighter load on the planet – the damage has already been done. Today, the U.S. population is at 319 million people and, by 2060, this will have increased by 30 percent to 417 million – despite the drop in the fertility rate. The drop in fertility rate has other implications, aside from population. Implications on a local level – that high fertility rates in Africa is not going to solve. With fewer babies being born, and a huge chunk of people having these babies, the balance between old and young people is rapidly tipping. The number of people over 65 is set to double in the next 25 years. Think economic issues and, with this, fear. Older age groups are ‘taking over’, and this is slowing the economy – a factor that contributes even further to the drop in fertility. People become scared when the economy is in trouble. They have fewer babies because of financial stress and uncertainty. And the economy suffers again. It’s a dangerous cycle. This is not just a problem for the US, but Australia too. Australian actress, comedian and television Mary Coustas speaks to Mia Freedman about her struggle to fall pregnant with 23 rounds of IVF. Post continues below podcast. In an article on this data, Science of Us suggested the expense and difficulty of raising a child in the United States might be partially to blame for the drop in fertility. The article cited places like France and Norway, where there is heavy state support, in the form of public nurseries and stipends, for having more children. These benefits not only make child rearing more affordable, but also make it easier for couples to combine professional lives with parenting. Feeding the economy. Rejuvenating the population. We know the planet is groaning under ever-growing human weight. We know this. But, in order to reach some level of sustainability, we need to do our best to match the rate of birth with the rate of death to keep the population stable. To make this happen, the technology and support around child rearing needs to match that around aged care. At the moment, economies are in trouble. The environment needs our help. People are living longer in developed countries. But fewer babies are growing up. In these countries, who is going to take care of who?